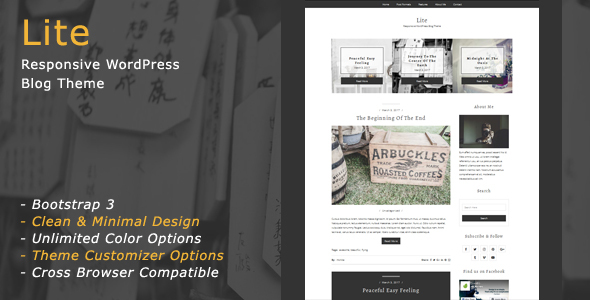 Elegant & Modern Premium WordPress themes and HTML templates. 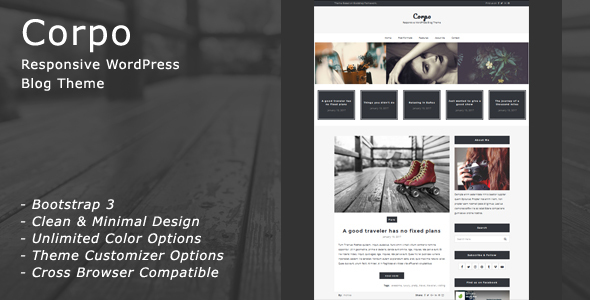 Corpo is a clean and creative personal blogging theme with elegant design. It is based on Bootstrap framework. Corpo is easy customizing using theme options. The theme is easy to setup. It has unlimited color options. 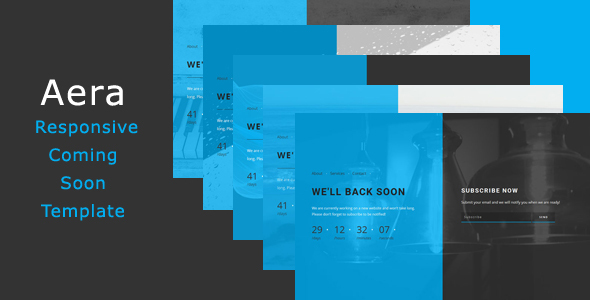 Adel is a fully responsive, creative, clean and modern coming soon template. It comes with different versions and nice color variations. With Adel template you can present your upcoming site and collect subscribers. Adel based on the world’s most popular mobile-first and responsive front-end framework – Bootstrap. 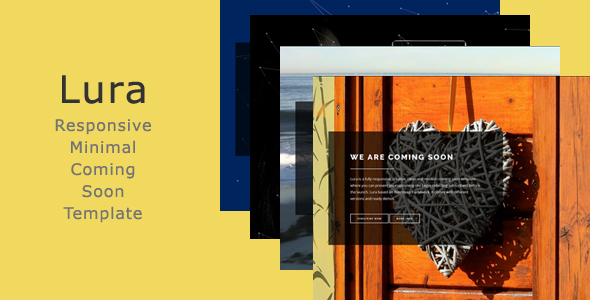 Aera is a fully responsive, creative and modern coming soon and under construction template based on Bootstrap framework. It comes with different awesome versions of coming soon pages. 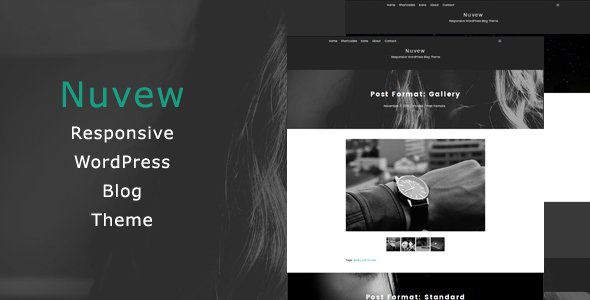 Nuvew is modern, smart and classic blog theme. It based on Bootstrap framework, easy to customize using theme options. The theme is easy to setup. It has unlimited color options. Lura is a fully responsive, creative, clean and modern minimal coming soon template where you can present your upcoming site begin collecting subscribers before the launch. Lura based on Bootstrap framework. It comes with different versions and ready demos. 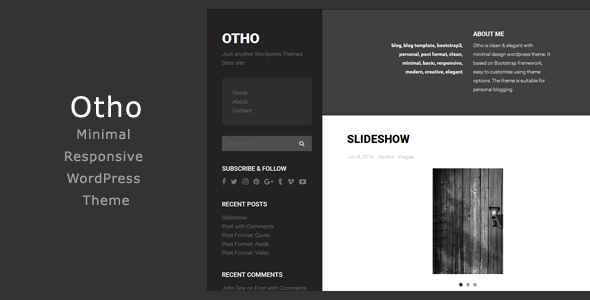 Otho is clean & elegant with minimal design wordpress theme. It based on Bootstrap framework, easy to customise using theme options. The theme is suitable for personal blogging. 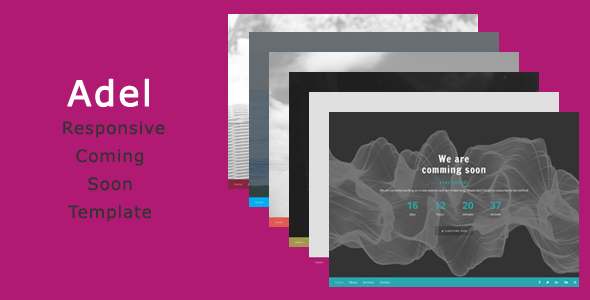 We create Elegant & Modern Premium WordPress themes and HTML templates.